Castia Stone provides a wide selection of accessories designed to reflect old-world elegance for classic finishing touches. 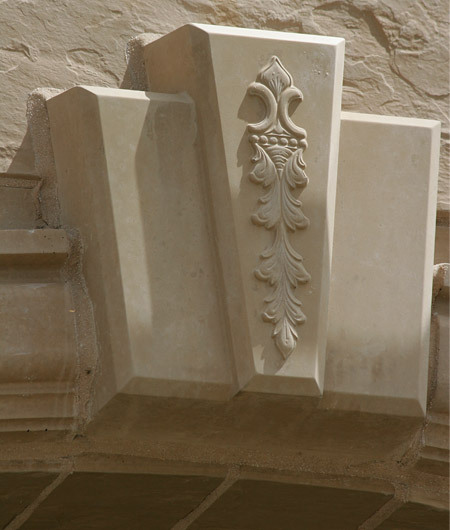 Create a custom look by choosing from an array of items: quoins, cornices, address block, vents, bases, lighting blocks, fluted columns, wall caps and keystones. Create a custom look by adding a keystone to any arch, window or entryway. Our full depth concrete keystones are crafted to achieve an elegant look without the high-dollar price tag. Columns are made up of a capital on top, as many flutes as needed for the middle, and a plinth on the bottom. For easy installation we recommend installing the plinth and capital first, and then measuring and cutting if needed the plinths to fit.